As part of their proposal for a new arena in Inglewood, the LA Clippers are planning for the venue to anchor a larger development project. On Tuesday, the City of Inglewood published a notice of preparation of a draft environmental impact report for the project. 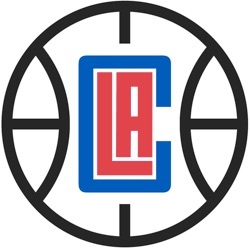 While it has been known that the Clippers are mulling a location in Inglewood for the construction of a new arena, the document provided additional details on the team’s vision. Billed as the Inglewood Basketball and Entertainment Center, the privately financed development would take shape along West Century Boulevard. A new 18,000-seat arena would be located at the intersection of South Prairie Avenue and West Century, and anchor a development that includes a practice facility, outdoor plaza, retail space, team offices, a sports medicine center, and perhaps other features. The proposed project has drawn criticism — and legal action against the city — from the Madison Square Garden Co., the New York-based sports and entertainment giant which owns the nearby Forum. MSG claims another arena would violate its development agreement with Inglewood, something the city denies. Though Tuesday’s notice is short on details, the nine-page document provides the most details to date about the arena. In addition to hosting basketball games, the arena could be the site of 100 to 150 concerts, corporate gatherings and similar events each year. The practice facility would be 85,000 square feet, the team offices 55,000 square feet and the sports medicine clinic 25,000 square feet. An additional 40,000 square feet are set aside for retail and 260,000 square feet for the outdoor plaza. The document raises the possibility that pedestrian bridges across West Century could connect the arena project to the adjacent 298-acre sports and entertainment district Rams owner Stan Kroenke is building. Inglewood could present the Clippers with an arena option beyond Staples Center, where they currently have a lease agreement that runs through 2024. According to the Los Angeles Times, the environmental review process for the Inglewood proposal could take 18 months.